Last week I kind of skipped the non sequitur post since I didn’t write anything book-related on Wednesday (it was my husband’s birthday!!). So, I decided that I’d make that up this week with a ridiculously long post about one of my other loves – perfume! For a very brief period of time, I attempted to maintain a fashion blog. Why? I don’t really know. I’m not a particularly fashionable person nor do I tend to focus too much on the next hot trends. If it’s comfortable and I feel “pretty” in it, I love it. Oh, and bonus points if it looks good with a cardigan. For these reasons, that is probably why the title of the blog was Fashionably Late. As a teenager I purchased a few fashion magazines, idolized Kate Moss, and desperately wished to one day be able to afford Miu Miu or Gucci. These days I still somewhat, occasionally, think fondly of Kate Moss and, yes, I still drool over Miu Miu, but I am totally never going to fork over hundreds to thousands of dollars for a pair of shoes. There has been one aesthetic entity that I never lost appreciation for, however. Even when I embraced the comfort of mediocrity through flared denim and t-shirts (and don’t forget those white Adidas sneakers with the sky blue stripes), I never lost sight of the importance of smelling good. No, not just good. Better than good. Beautiful. I wanted the impression of how I smelt to linger. 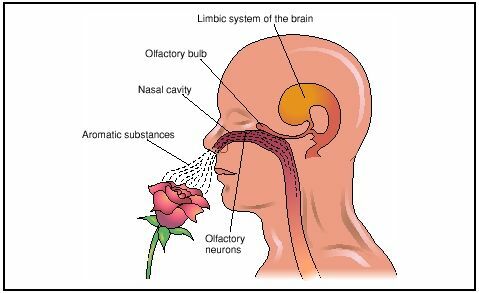 The importance of smelling good or scent-memory is nothing new, either. Perfumes and the creation of pleasant scents (and the moods or influence that those scents can control) has been around and practiced for a very, very long time. And growing up in a home of smokers definitely escalated my desire to explore the world of perfume. Because while the kids at school might measure their ‘coolness’ on how many puffs they can rush from a cigarette at parties, or accept and idolize the fact that their favorite celebs are photographed lighting up, they definitely were not all that accepting of the quiet, slightly quirky girl who reeked of smoke day after day. 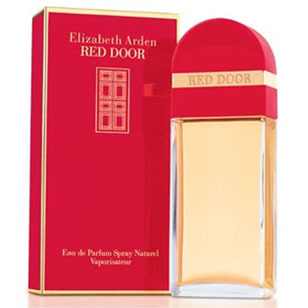 I lamented how it wasn’t fair that my mother could smoke, but still be able to douse herself in Elizabeth Arden’s Red Door right before heading out, entirely masking the fact that she ever actually yielded the reek of nicotine. But this mask, this perfume, connoted comfort, love, and warmth for me. She wore this perfume for as far back as I can remember. It may not have been the first and only perfume that she wore during my childhood, but it is the singular scent that I attach to her during this period of my life. At this moment, years and miles away from our old home and our younger lives, I cannot conjure up the memory of the horrible smell that I detested so vehemently and cursed for so many years. I can only call to mind the smell of Red Door and the image of myself as a little girl, curled up on my mother’s lap. my cheek on her heart, and feeling the methodic undulating motion of her chest that made every other fear and concern disperse from my consciousness. As I became a little older, I would lightly spritz some over my clothing (the worst offender of foul stench apprehension) right before school. Even if no one else could smell the light, crisp floral scent, I was able to carry it close to my heart (and nose) all day. And, at that time, as long as I was blissfully ignorant of any smell other than Beauty, all was well. Unfortunately, this ceased to be the case as I became more acutely aware of the opinions and comments of my peers — as well as the reality of the situation. And it wasn’t good. I moved onto muskier perfumes, the kind that one squirt is more than enough to choke anyone in an eleven-foot radius. The kind of scents that were so strong that they would rub off my clothing, onto other fabrics (such as furniture, blankets) and linger…. for a very long time. The perfume that was given as a Christmas gift to my mother (who wound up later getting into Jovan White Musk — another scent that I recall perfectly, associate with her embrace, and briefly wore as perfumed armor in school), but was far too thick for her tastes. My early experimentation with a darker musk, led to my later (and admittedly still current) obsession with Patchouli. But, first, I took a break from the musk and indulged in the hottest craze of the mid 90s — Calvin Klein. It started with spending far too much time stalking the perfume counters at Filene’s, spraying on any and everything that came in an intriguing bottle. Sometimes I would do my research beforehand, vigorously inhaling the advertisements in Vogue, Sassy, or Seventeen. Kate Moss’s heroin chic face, greasy hair, and disheveled countenance invited me to try on CK One and later dared me to Just Be. I couldn’t afford the $50 for the real deal, so I started with the U and U2 knock offs available at CVS, but eventually was able to emerge from the clouds of the $15 mimic with the pure androgynous magic of the name brand. It was everything that my nose wanted — a clean, classic air. Each bottle lasted me precisely one year to get through and I made sure to eke every last droplet out of those bottles. When I couldn’t press the nozzle hard enough for anything to come out, I would unscrew the top and drag the vein of the bottle across my wrists and neck, savoring whatever droplets I could. My college years and beyond have been spent experimenting with oils (Patchouli, Egyptian Goddess, Plumeria, Fire Goddess, Jasmine, and Krishna Musk to name but a few) and a variety of floral and vanilla variations to create an extraordinarily unique scent for myself. No two days are ever the same as the combinations and amounts always vary, but the end result is always the same — I smell great and people respond favorably. A few years ago, my husband and I took a trip to Rome. It was my first international excursion and I eagerly took everything in. I didn’t only pay close attention to the cultural differences and amazing antiquity surrounding me. It fascinated me that the women were so put together — stylish, pristine, and they all seemed to drag a current of floral essence behind them. I had the goal of making one purchase while there — in a perfumaria. I never made it into one, however. When we arrived home it became a mission for me to find a perfume that was sufficiently floral, without necessarily smelling like I wore petals all over my body. What I found was Flora by Gucci (thank you Macy’s). I was drawn to the classy packaging and the crisp, floral scent that left me feeling clean and exquisitely feminine. It isn’t a perfume that I wear on a daily basis, but that is mostly because I don’t want to tear through it within a few months. I wear this only when I want to feel really “pretty” and soft. When I wear this perfume, it is primarily because I intend for anyone who comes in contact with me to perceive me in this way; I want this smell to be connected to who I am and how I look in their memory. It isn’t the kind of scent that you just throw on haphazardly or just for going to the grocery store. When I purchased Flora, I also walked away with a sample that I did not expect to become as attached to as much as I have. Chanel Chance. This is another light, feminine perfume (mixes perfectly with Krishna Musk, for those of you who happen to poke around New Age stores) and one that I would be more likely to wear on a daily basis. Chance is the kind of odor the elates my heart. The rush of the aroma breezing by my face when I move my hand, turn my face, or a breeze caresses my neck, twirling the air up into my nose. It makes my smile and it is a moment that I look forward to. Even more recently I have been exposed to Flowerbomb by Viktor&Rolf. It really is a perfect, explosive mix of floral scents – freesia, Centifolia rose, osmanthus and Sambac Jasmine. And there’s even some patchouli in the background. 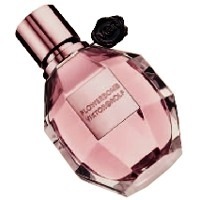 I first came across Flowerbomb thanks to a good friend of mine who is also enthusiastic about perfumes. We each gladly accepted our free testers from Sephora and after my first full day of wearing it, I knew that I had to have it. It seems to be a popular scent now, as well. I keep catching whiffs of it everywhere – I even believe that my allergist wears Flowerbomb. For me, like for many (all?) other humans, smells and perfume has always been a vital aspect of my daily experience. As we progress and as designers keep creating new fragrances (or improving upon classics), it is highly unlikely that we will ever fall away from this certainty. It is tied to memory, love, as well as fears. It is powerful in fabricating our opinions and impressions of other people and places. We may not always be consciously considering it, but it is true. AND it is the one aesthetic indulgence that I never strayed from…. nor do I see myself straying from anytime soon. wow thats an amazing perfume. really cool. I love how the Flower Bomb bottle so closely resembles a “diamond”, and not at all a grenade. Just wanted to comment and say nice page, great to read from people with knowledge of this. Good post. I study one thing more difficult on completely different blogs everyday. It is going to always be stimulating to read content material from other writers and apply a little something from their store. I?d prefer to use some with the content on my blog whether you don?t mind. Natually I?ll offer you a hyperlink on your net blog. Thanks for sharing.